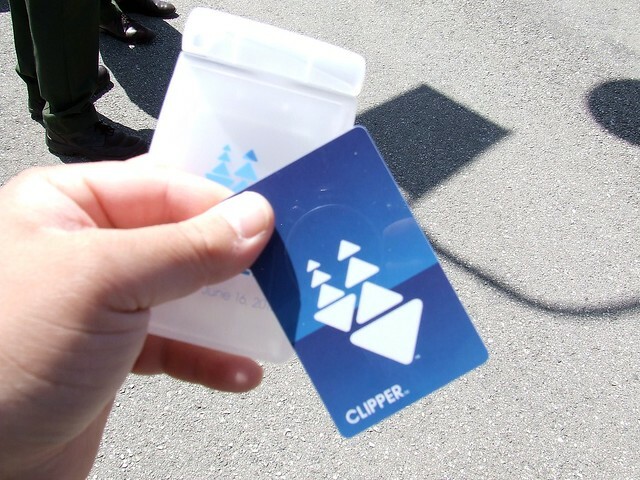 Clipper Card Woes: Overcharges and Cable Car Fail? August 7th, Saturday afternoon. At about 3:45 p.m. my friend and I are at 15th and Castro. We’re waiting for the 24 Divisadero to take us on one of two buses to the Upper Haight, with punch bowls from Hobson’s on our minds. We both tag our respective Clipper/Translink cards on the 24 at about 3:50. We get off at Haight and Divisadero and catch a 6 (Sassy Parnassy, as we like to call it) five minutes later towards our final destination. Once we tag our cards on the 6, the machine takes another two dollars off our accounts in addition to the initial tagging on the 24, making our two-buses-within-20-minutes trip a total of $4 dollars. I’m broke, on summer break from school and unemployed so I had the time and energy to look into this. My transaction history shows my first tag on the 24 at 6:20 a.m. instead of something closer to 4 p.m.. My thought was obviously that the time on the 24’s Clipper machine was off (I was definitely NOT up at 6:20 a.m. on a Saturday). After spending a good hour on the phone with a personable woman from Clipper, I have the possibility of a refund after an “investigation” given my “report.” So until I hear back from Clipper, I’m stocking up on quarters and giving my card a rest. I’m curious if this has happened to anyone else? Maybe if your accounts seem lower than it should, you should keep an eye on your balances after tagging your card. This morning I was on the cable car on my regular commute coming down Powell St. to Market turnaround. 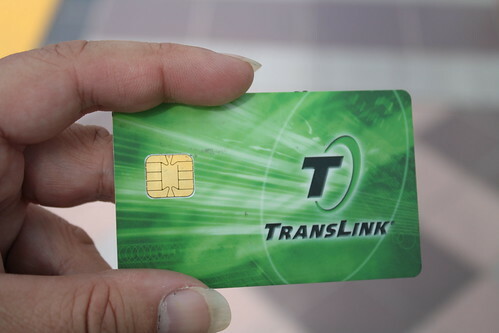 The conductor asked for my card, apparently scanned it, and incorrectly told me that my Clipper (Translink) card, which has the August Muni Fast Pass loaded on it, was invalid. I told the conductor that the card did indeed have a valid Fast Pass loaded on it and that so far this month it has worked on Muni cable cars, buses, etc. He said that he would let me ride this time but not again. Clipper had gotten off to a rocky star this month with Wageworks issues, and we know Muni has had clock error issues (reported by KGO about the cameras on the bus). 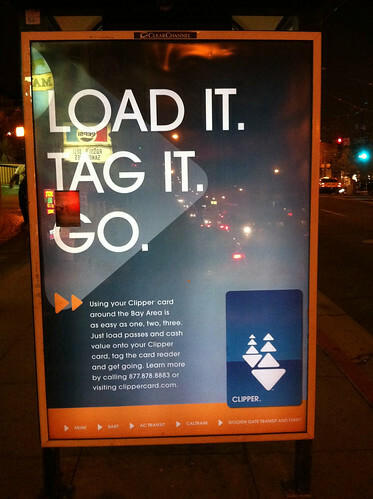 Have you been overcharged when you use your Clipper card? Let us know. Update (2:44 p.m.): SF Appeal has a article up explaining how Clipper is blaming all these sundry errors on a “software glitch.” Windows 98, anyone? Update (10:27 a.m.): The Clipper website appears to be working again. The cards mentioned in the original post below, well, we’ll get back to you on that. Update (9:12 a.m.): As of this moment, the Clipper website … wait for it, is down. We’ll update this update as soon as we confirm that it works again. If that happens. Today was the first day for hella new Clipper cardholders. Many of them thought they had loaded their monthly passes onto their card via WageWorks, a commuter-benefit management company, or something like that. But boy, were they wrong. Basically, the way WageWorks works: Your company offers you a pre-tax savings on your monthly pass, and hires WageWorks to manage the procurement and delivery of that pass to you. Used to be, they’d mail you your Fast Pass a week or so before the beginning of the next month. All was dandy. The ever-diligent Akit has an account of, well, the way things went down today. The point: People boarding BART and Muni thinking their passes were loaded on their newish Clipper cards were in for quite a shock. SO! All you WageWorks workers/Clipper cardholders out there, hang onto any receipts from money you might have to spend on transit. If you had set your pass to load onto your Clipper card and then find yourself getting charged to ride, something is wrong. Very wrong. Also, the cynic in me will need to wait and see whether those Clipper reimbursements actually happen, not to mention within the company’s promised seven (7) business days. On Monday, Beth posted a reasonable question: Why are Muni buses equipped with Clipper readers at the back door when Muni’s policy for bus boarding says, explicitly, that they only allow front-door boarding at this time? We had read that Clipper readers were installed back there because the agency wanted to have them in place in case they eventually did enact a back-door boarding policy. That was substantiated by a comment on Beth’s post from Jake, who says he’s a Clipper employee (yay for Clipper employees reading Muni Diaries!). But SFMTA spokesman Paul Rose got back to us on the question of why they’re there, and his answer might surprise you. Sounds logical enough, but I wanted to make sure I understood correctly. 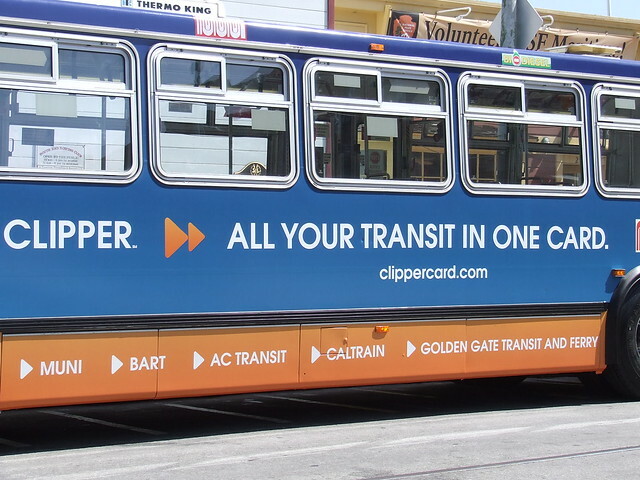 “So, this is basically a) driver’s discretion, and b) only when SFMTA can get another employee back there to check for Fast Passes (until they’re phased out) and to make sure their Clipper cards are being tagged?” Yep. Asked about SFMTA rolling out an official back-door boarding policy, Rose couldn’t commit to any specific date, or whether it’s even under serious consideration now. So there you have it. If you’re lucky enough to legitimately back-door board a Muni bus, let us know. 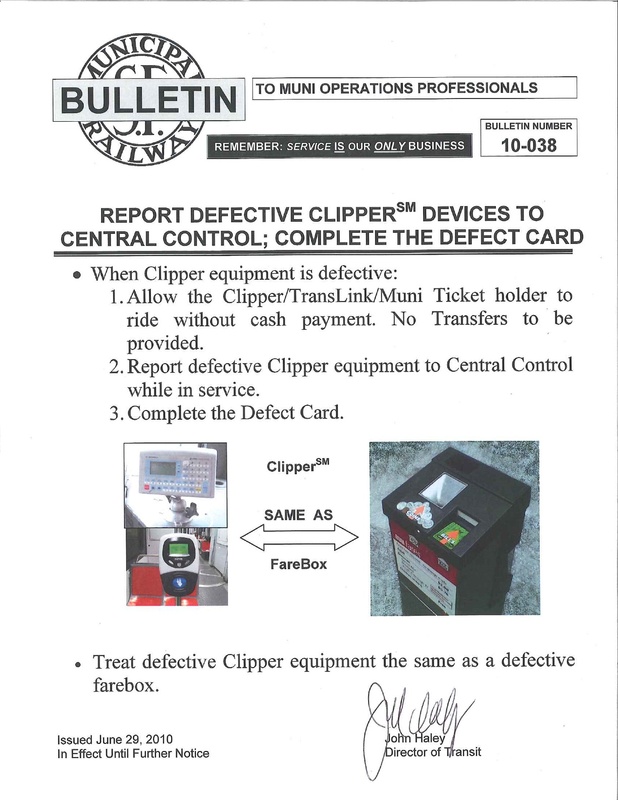 In the comments on this morning’s post by Rachel, a reader suggested that we all print out the memo from SFMTA directing Muni operators to let us ride when the Clipper card-readers are broken (to treat the situation exactly as they do broken fare boxes). I thought it was an excellent suggestion, and in the interests of better serving you, dear reader, I’ve posted the memo again. And of course, if you ever do need to show a driver the memo you printed out from Muni Diaries, be sure to let us all know! Muni rider Geoff (he of the “other” spelling) sends along a story that would be humorous if it weren’t too annoyingly real. Geoff had his Fast Pass set up on his Clipper Card all right and proper. Until he tried to tag his card, that is. Her: How can I help you? Her: In looking at your account, it seems like your Fast Pass for the month isn’t activated. You need to tag your card at a station. Her: Sometimes you can tag it on a train. That sometimes works. Me: You can’t active my card from the screen you’re looking at? Her: No, I can’t. You need to tag it. Most likely you need to tag it at a station. Me: What if I tag it, and it still doesn’t work? Her: You’ll have to call back. Me: You can’t just issue me a refund right now? You obviously can see that I shouldn’t have been charged. Her: I can, however I still need you to fill out the form. Receptionist: Clipper, can you hold? Her: Ok, let me look. Her: Ok, I have activated your card, it’s good to use. Also, I refunded the $2 charge you incorrectly got. … and I hang up. It’s amazing the difference between two different CS reps. Not sure why the first person couldn’t help me at all. The moral of the story: Call back if you get an answer that is unsatisfying! I just checked, and I still don’t see the refund, but the activation worked! So there you have it. Moral of the story? When Clipper Customer Service knocks you down, you can pick it up and try again, try again. So, in Lisa’s case (see “Original post,” below), the driver was wrong to ask her to pay. Maybe that driver didn’t get the memo, literally. It’s dated June 29, which was Tuesday, the day before Lisa’s incident. Original post: What do Fast Pass holders do when Clipper readers don’t work? You’ve paid $70 or so for the Fast Pass, but should you still pay the $2 if the Clipper reader can’t read your card? I was trying to catch the 28 [Wednesday] morning around 6:30 a.m. at 19th Ave and Holloway and the translink readers on the bus were down. The driver tells me I have to pay cash fare when the reader is down and that’s policy. I tried to explain to her that that made no sense as I had a monthly pass and, therefore, had already paid regardless of the reader.She said no, it’s policy, that I had a translink card and not a pass. I said, I paid for a pass, your readers are always down, I ride everyday and no one has ever said this to me before. But she still said I had to pay. So, in the end, I refused to pay on principle, and the driver would not allow me to ride, despite having paid my $70 for my monthly pass. I was 20 minutes late to work. I should have just gotten on the back with the rest the fare dodgers. We don’t see any information on the Clipper site about this situation (neither the FAQ page nor Clipper with specific transit agencies pages). And we can easily envision this situation happening with increasing frequency as more and more riders use Clipper with their Fast Pass loaded onto the card. What do you think? How do you think this situation should be handled? Even better, has Clipper considered this situation and devised a fix for it? We asked SFMTA and will update you as soon as we hear back. Related: Akit has a post up today about Clipper/Fast Pass holders whose passes aren’t loading by the first of the month, and aren’t being given the 3-day “grace period.” Kinks, they abound!